Although effective video conferencing management applies to all solutions, we’re going to show you how to evaluate your video solution by using Cisco WebEx as an example. Learn video call quality tactics to more effectively measure your Cisco WebEx environment, improve adoption, and optimize underutilized resources. 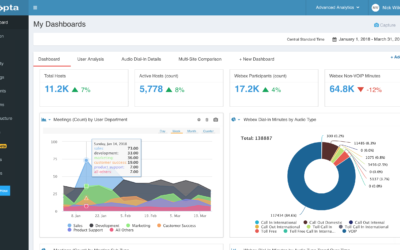 Analytics for WebEx enables organizations to get the most out of their WebEx investments with insights into usage and adoption as well as data to help optimize costs and drive feature usage.